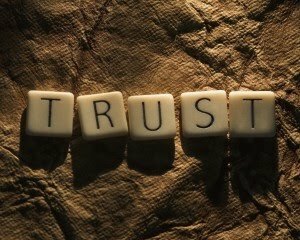 Trust is something that is so difficult to build yet will likely take seconds to destroy. Maybe for some people, but definitely not for God. The recent flood that occurred on the city lately was really quite devastating. There were casualties being reported while others were forced to leave their homes. I could hardly sleep last night because I was really disturbed by the heavy downpour. I was so worried about the condition of our office, I can imagine files being drowned, tables overturned, equipment soaked and muddy floors. That was really a horrible night for me upon entertaining all those negative thoughts. I HAVE BEEN PRAYING, in fact I was really crying before God, desperately begging Him to hear my prayer. I prayed for the rain to stop, but it didn't. I then started to question my trust on Him. How could He shut His ears from me? What have I done that He cannot say YES to my prayer. All I know was that, God answers prayers in three different ways, YES, NO (for a very valid reason) and WAIT. I can't take NO for an answer nor a WAIT considering the worst condition. The rain did not stop until morning but the water at the school did did not subside yet so still we were stranded. I know I have no right to question HIM and I know that He allow things to happen for a reason. After that night I felt so ashamed before God, for questioning Him. I should be thankful instead that He spared my family from any untoward incidents other than flood that reached on the floor level of my brother's house. I should be thankful instead that the flood was nothing compared to what happened at Northern Luzon last month. Sometimes, we are too self-centered that if we felt God is not listening to us, our faith and trust on Him waivers. I felt so bad about myself because of that. Good thing our God is a God of Mercy. Thanks be unto Him forever. God bless you and keep you and make His face to shine upon you, and give you PEACE. I bless you in the precious Name above ALL NAMES.